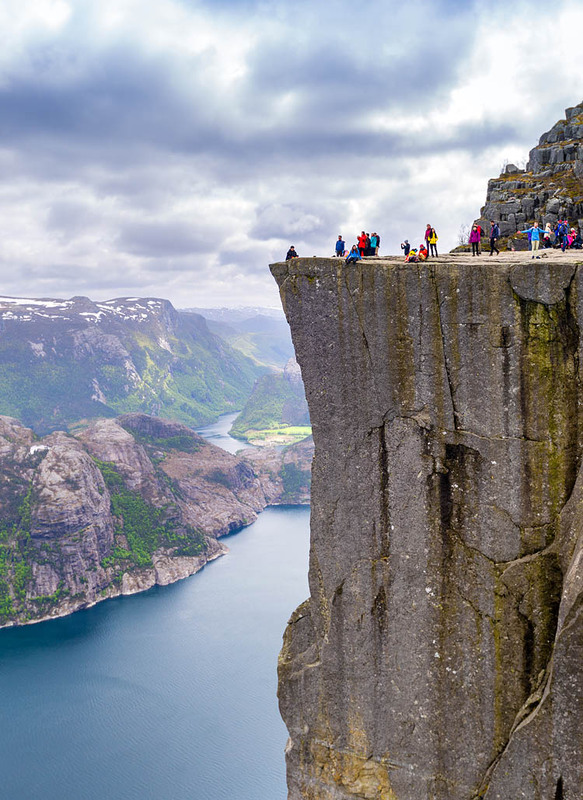 Pulpit Rock is one of the region’s most visited attractions and one of the most spectacular photo opportunities in Norway. In 2011 Pulpit Rock was voted one of the world’s most spectacular viewpoints by both CNN Go and Lonely Planet. It was identified as a tourist attraction around 1900 when Turneren Thomas Peter Randulff were traveling Lysefjord in the steamship Oscar II. The captain of the ship pointed at the formation and mentioned that it looked like a pulpit or ‘Preikestolen’ in Norwegian. As an athlete and gymnast, Randulf was enthralled and became determined to climb to the spectacular ledge far above the waters of the fjord. His trip was the start of many tourist visits to this geological wonder. 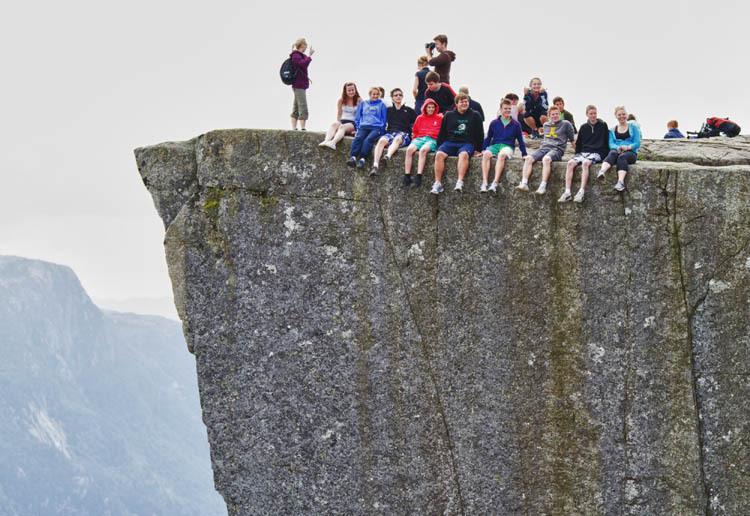 Today many thousands of people make the trek to the top of pulpit rock. The hike up to Pulpit Rock is a round trip of about 8 kilometres. The route is considered relatively simple and it will take between an hour-and-a-half to two hours to reach the lookout ledge. The toughest part of the climb is about 1,9 km from the Pulpit Rock where the trail becomes extremely steep. Once you reach the top of this ridge you will be able to see the views of Lysefjorden. In 2013 and 2014 Sherpas from Nepal made extensive improvements to the trail with stairs and stone trails. It is recommended to use good footwear although in dry weather good trainers (plimsolls) are generally sufficient. It is not recommended to make the trek in winter as there can be extensive snow and ice causing the trail to become slippery and difficult. The best time to make the trek is from April to October.